9th, the Second Sunday of DECEMBER, 2012. Its 2 Decade Now, 20 years have passed and still looks relative nascent. As if we have stared analysing the industry only a few years back. 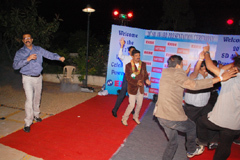 In fact we are in 7th UPS DAY Function. It all started from the From the marvelous sea beach resort of Mahabalipuram near Chennai to Rustic Village Ambience of Surjivan, then we traveled caves Guhantara in Bangalore for the first time for a riveting stone age experience. We went to Snow World, Hyderabad, Khandla …. Which one you liked most ……? Obliviously, its Bangaluru—Though all the places were very beautiful and unique, but Bangalore stands apart, may be not must for place but for warmth of the people. Thank you Bangaluru for showing so much of love ….. 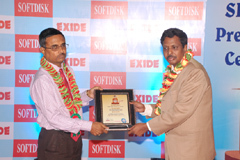 This is a big big day for Softdisk as we completing Two Decade of SD Awards, We are also introducing Softdisk Solar Awards, as we grow we hope that Softdisk Solar analysis does equally well. Enjoy the evening as it unfolds. Well, Well, Well certain faces do seem nervous. No need to be so its all about the joy of being here. It is a UPS Festival after all. As UPS is our bread and butter. A festival with no religious bindings. As Valentines Day, UPS DAY should reach the masses. I want you to take this to your clients so that the very importance of using the UPS is made to understand. What all I got today is may be three SMSs. But I have faith : UPS Day will sink in you, slowly but surely. 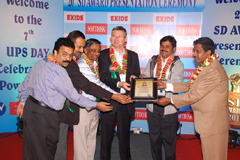 Novateur's brand Numeric HPE 33, HPE i 33 & HP FS 33 of 3 Phase & HPE, HP Series of Single Phase Online UPS Systems & the line interactive UPSs have been adjudged best in Product quality & After Sales Service in SD’s Users’ Satisfaction Survey 2012.
to Mr. Mark Werle, CEO: Mr. R. Chellappan, Chairman & Mr. A Balan, Director, Novateur & his team. 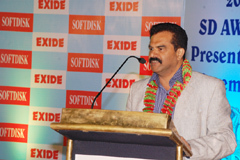 Consul’s Megaline UPS (Three Phase) upto 200 kVA category has secured 91.5% satisfaction level with A++ ratings in SD’s USERS’ Satisfaction Survey, 2012.
to Mr. Sriram Ramakrishnan, CEO Consul & his team. HITACHI HI-REL ELECTRONICS PVT. LTD., GANDHI NAGAR. 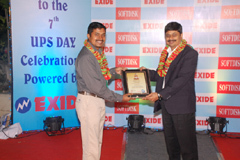 Hirel I6 Brand Of UPS Systems have been adjudged having A++ satisfaction levels in SD’s USERS’ Satisfaction Survey, 2012.
to Mr. A Gopal, General Manager Hitachi HI-REL & his team. 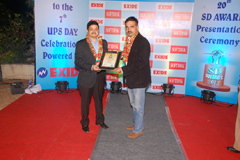 AROS brand of UPS System was adjudged Best for Product Quality in 3 Phase UPS Systems above 200 kVA ratings in SD’s USERS’ Satisfaction Survey, 2012.
to Mr. Rajaninandan, Sr. Manager, Riello PCI. 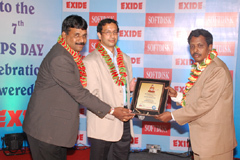 Uniline has been adjudged Best in terms of After Sales Service & Best in echnology Advantage vis-a-vis Cost Effectiveness for Single phase online UPS Systems in SD’s USERS’ Satisfaction Survey, 2012.
to Mr. J. N. Murthy, Regional Manager, Uniline. 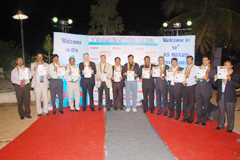 Delta Modulon NH Plus Series adjudged Best in 3 phase to 3 phase UPS systems in 60 to 200kVA categogy. 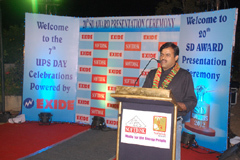 The companies Amplon range of UPS System adjeudged Best in Single Phase UPS Systems below 10 kVA. 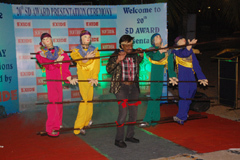 Delta Products have earned “A++” rating in SD Users’ Satisfaction Survey 2012. 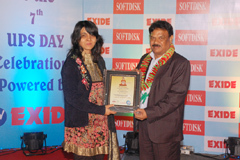 TECH UPS brand of Online UPS System (Single Phase) has been voted best in terms of product quality in SD’s USERS’ Satisfaction Survey, 2012. 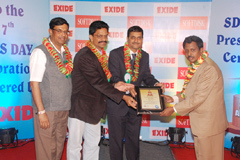 HYKON INDIA (P) LTD., THRISSUR..
HYKON’s - GETT 5 - GETT 50 Online IGBT Three Phase has been adjudged best in terms of Product Quality. 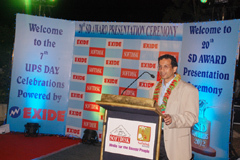 The company has secured 93% satisfaction level in SD Users’ Satisfaction Survey, 2012. 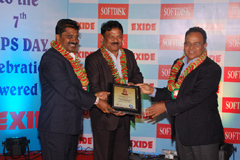 EPOCH brand of Single Phase Online UPS has secured 92% satisfaction level “A++” rating in SD’s USERS’ Satisfaction Survey, 2012. 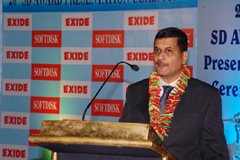 Microtek has been adjudged best in After Sales Service for all types of UPS & Inverters having A++ satisfaction ratings in SD’s USERS’ Satisfaction Survey, 2012.
to Mr. Sandeep Mathur, Head South India Operations, Microtek International. 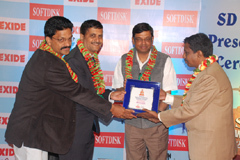 Elent brand of offline UPS had the distinction of having been adjudged Best in Technology Advantage vis-à-vis Cost-Effectiveness in SD’s Users’ Satisfaction survey 2012. 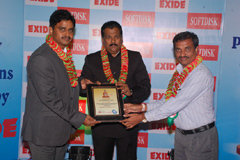 Award being presented by Mr. Sumanth Kumar, President, UMDA. 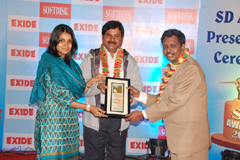 to Mrs. Jyothsna Puri, Exe. 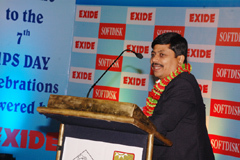 Director, Elent Electronics Pvt. 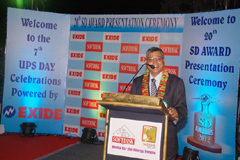 Ltd.
ECO brand of line-interactive UPS Systems have been voted best in terms Product Quality in SD’s USERS’ Satisfaction Survey, 2012. 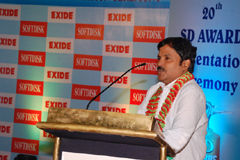 Schneider Electric IT Business India Pvt. Ltd. Bangalore. 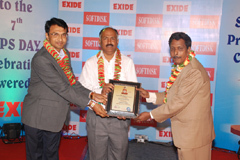 Most innovative product of the year 2012.
to Mr. Gurudutt, Director Pan India Sales, APC -Schneider. to Mr. R V Vinod & team of ARVI. POWERONE MICRO SYSTEMS PVT. LTD., BANGALORE. 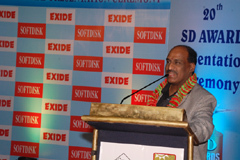 The Company has registered 94% satisfaction level with “A++” ratings in Online UPS Systems for its entire range in SD’s USERS’ Satisfaction Survey, 2012. 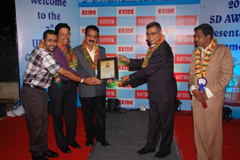 Award being presented by Mr. A Balan, Director Novateur Electrical & Digital Systems Pvt. Ltd., Chennai, to Mr. 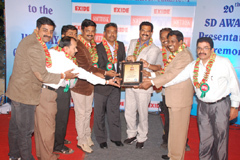 I B Rao & Mr. M R Rajesh Directors of Power One & his team. POWERNET registered 94% Satisfaction levels with “A++” Ratings in Single Phase Online UPS System for its entire range in SD’s USERS’ Satisfaction Survey, 2012.. The company has registered 93% Satisfaction levels with “A++” Ratings in Single Phase Online UPS System for its entire range in SD’s USERS’ Satisfaction Survey, 2012.
to Mr. Rajaram Rammoorthy, MD, Electronics & Controls & his team. Powertronix registered 93% satisfaction level with “A++” ratingsin Single Phase Online UPS Systems for its entire range Satisfaction Ratings in SD’s USERS’ Satisfaction Survey, 2012. 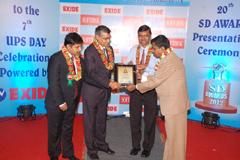 Award being presented by Mr. R Chellappan, MD Swelect Energy Systems Limited, Cennnai to Mr. Ramesh S & Mr. Dilli Director Powertronix. Cosmic registered 93% satisfaction level with “A++” ratings in Single Phase Online UPS Systems for its entire range in SD’s USERS’ Satisfaction Survey, 2012. 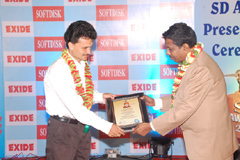 Award being presented by Mr. M R Rajesh Director Power One Micro Systems Pvt. Ltd.
ASIA POWER brand of APLF (3Phase) & ASIA Power Brand APLF (Single Phase) Online UPS has been adjudged best in terms of Product Quality while brand ASIA POWER won “A++” satisfaction rating Satisfaction Ratings in SD’s USERS’ Satisfaction Survey, 2012. 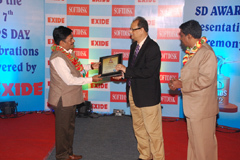 Award being presented by Mr. Subhir Chakraborthy, Exe. 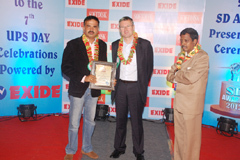 Vice President, Exide Ltd.
to Mr. Nagraj Kashyap, Asia Powercom . 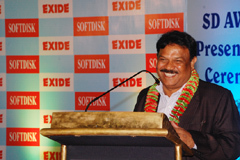 The Company has registered 93% satisfaction level with “A++” ratings in Single Phase Online UPS Systems for its entire range in SD’s USERS’ Satisfaction Survey, 2012.
to Mr. Y B Suresh & Mr. B S Swamy Directors of Total Power Conditioners Pvt. 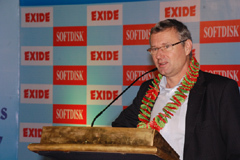 Ltd.
Kinara registered 91.5% satisfaction level with “A++” ratings in Single Phase Online UPS Systems for its entire range. 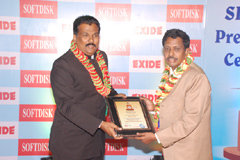 to Mr. Natraj & his team. SD’s No. 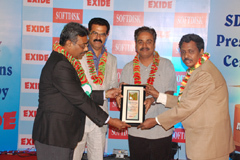 1 Solar Solution Provider (Integrator) company of the Year 2012. 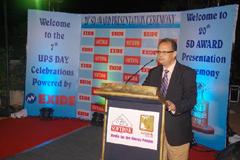 Swelect are one of the few listed companies and a complete Solar Power Solution Provider company in the Country. They have the maximum no. of Roof Top Installations in the country. 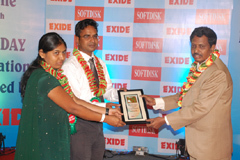 to Mr. R Chellappan MD & Ms. Mirunalini, Swelect Energy Systems Ltd.
WAAREE ENERGIES PVT. LTD. MUMBAI. Zoom View SD’s No. 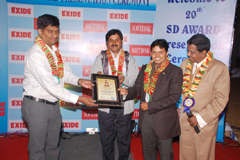 2 Solar Solution Provider (Integrator) company of the Year 2012. Waaree are PV Module manufacturers & one of the complete Solar Power Solution Provider company in the Country. 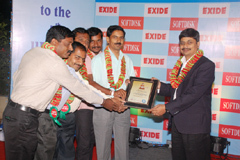 to Mr. Manjunath (Head South India Operation) Waaree Energies & his team. Zoom View SD’s No. 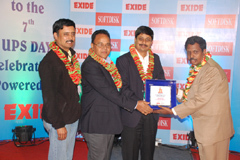 5 Solar Solution Provider (Integrator) company of the Year 2012. Techser are one of one of the companies involved in total Solar PV Integration for Off grid applications. to Mr. Narayan Sabahit & his team. 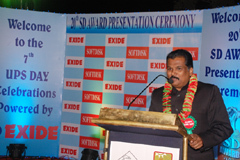 Kinara have an exclusive edge in Solar Street Lighting, Solar Water heaters and Garden Lighting Systems. Leadership in Rural Cooperatives Vertical. 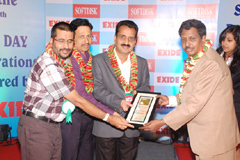 to Mr. Narayan Sabhahit MD, Techser & his team. to Mr. 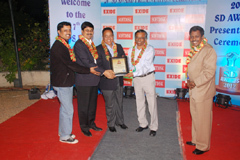 I B Rao & Mr. M R Rajesh Directors of Power One. 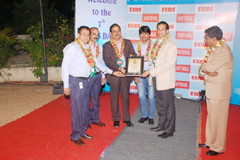 to Mr. Suhas Joshi, CEO, UPS Division Delta & his team. 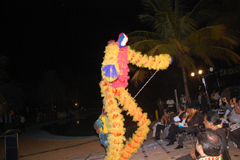 NOVATEUR ELECTRICAL & DIGITAL SYSTEM PVT. 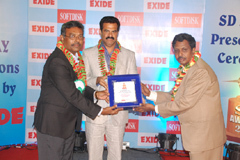 LTD. Chennai. & Leadership Since Last Two Decade. 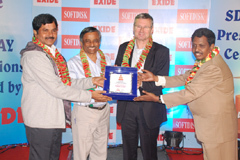 to Mr. Mark Werle, CEO: Mr. R. Chellappan, Chairman & Mr. A Balan, Director, Novateur.